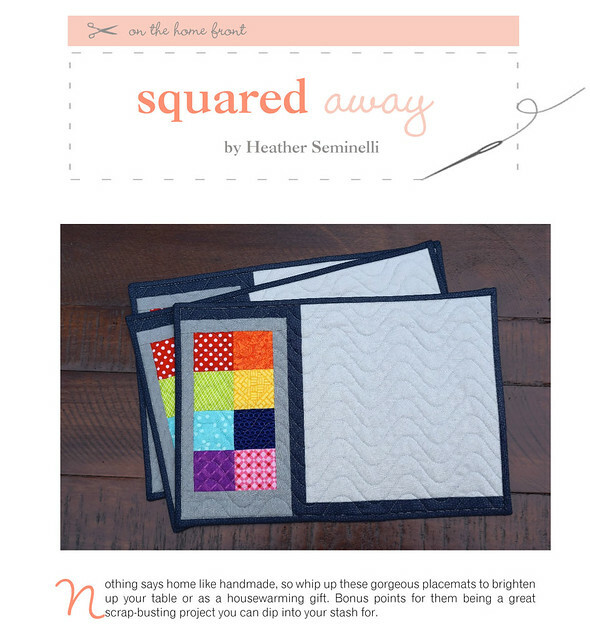 Modern and colorful, the Squared Away Placemat set was published in the May 2015 Make Modern issue. I’ve had a secret project in the works for a few months now, and I’m really excited to share the good news! My first pattern was published in Make Modern‘s May issue! If you would like to purchase the issue, it is available here. My project is in home section, and is called the Squared Away Placemats. I made these placemats based off a design I first came up with for the Schnitzel & Boo Mini Swap last summer. 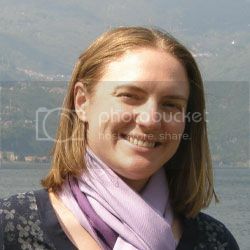 It was one of my early attempts at a more modern look, and I was so grateful for signing up for that swap because it pushed me out of my comfort zone. I would not have come up with this design without that push, and I still really like how it turned out! 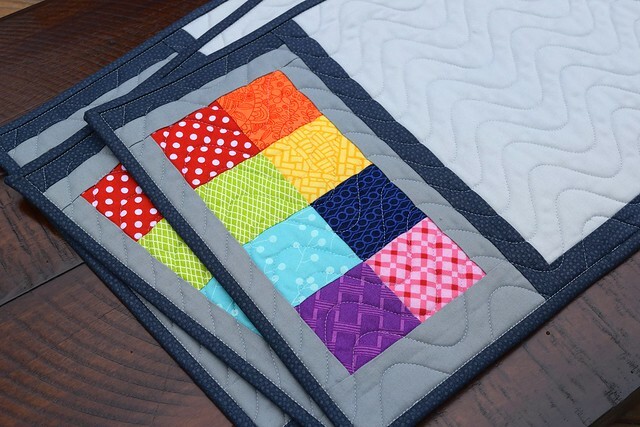 You can see the inspiration from the mini quilt in the finished placemats. One or two of the fabrics have even made an appearance in both items. 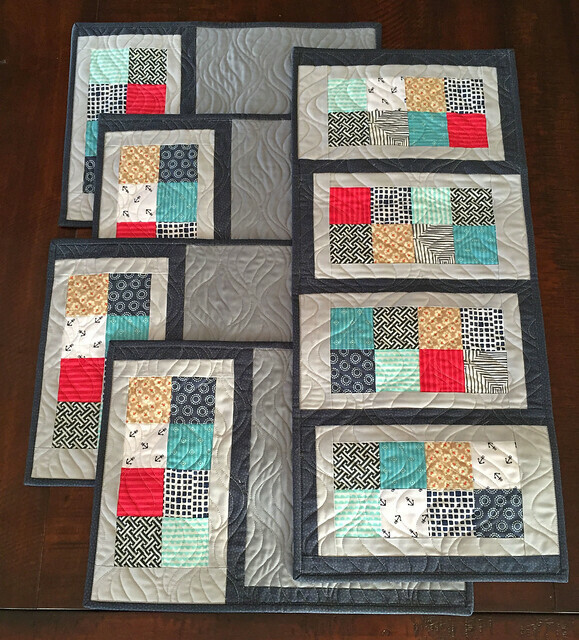 If you follow me on instagram (@QACreations) or Facebook (Quilts Actually), you’ve seen a preview of the quilting on these. I love the wave panto for a modern look. 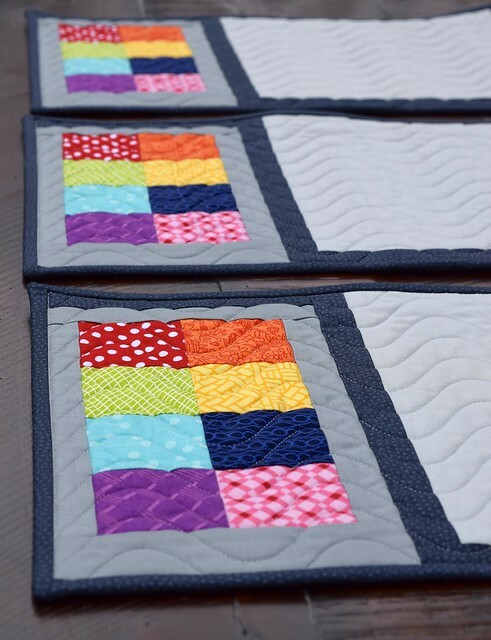 These are a simple, quick project that is great for using up some of those precious scraps you’ve been hoarding of your favorite fabrics… I know you have those tiny scraps saved! It is also perfect for that mini charm pack you picked up at the store because they are cute, and then you get home and realize, what am I ever going to use this for? We’ve all been there, it’s ok! Use those bits to make a placemat so that you can see those beautiful little bits everyday. My daughter loves this rainbow version because she gets to point out all the colors. If you make set of these placemats, please let me know! I would love to see what you do with my pattern. 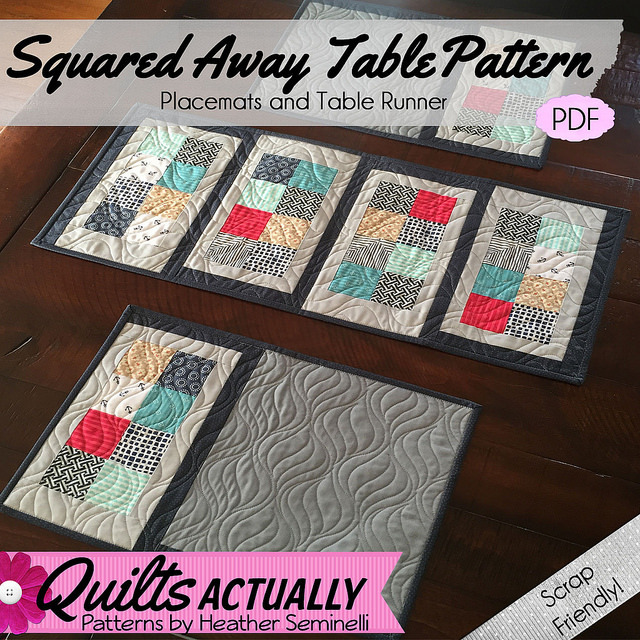 Send me a picture, direct me to a blog post, or share on instagram with #squaredawaytable. 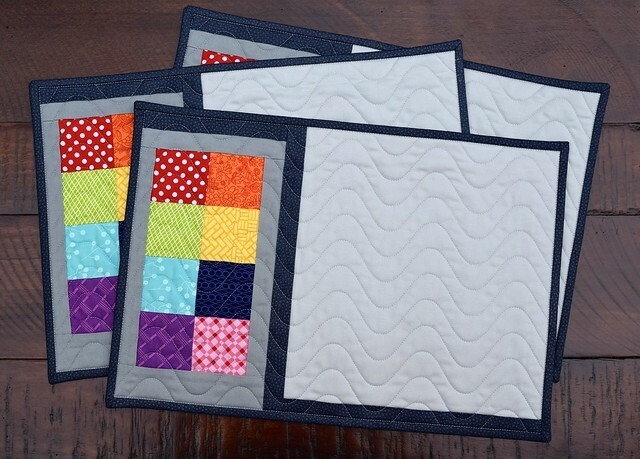 Also, these smaller quilted items are great to practice quilting on your machine, but if you just don’t have time or want to make a bunch as gifts you can always send them to me to be quilted. 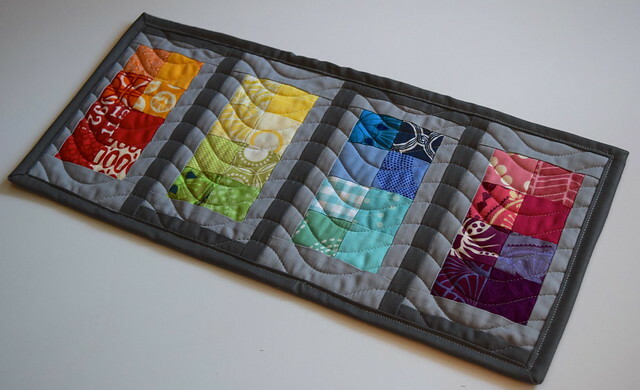 Use one continuous length of fabric for the back, and send me the placemats to use as the top. 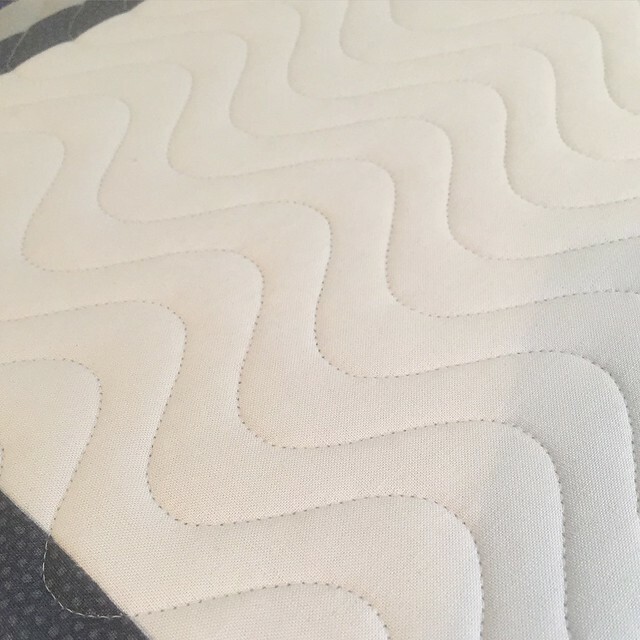 It’s an even better deal if you have another quilt – make the backing extra long and I can quilt those extra smaller pieces on the end of the backing below the quilt. Contact me if you are interested!